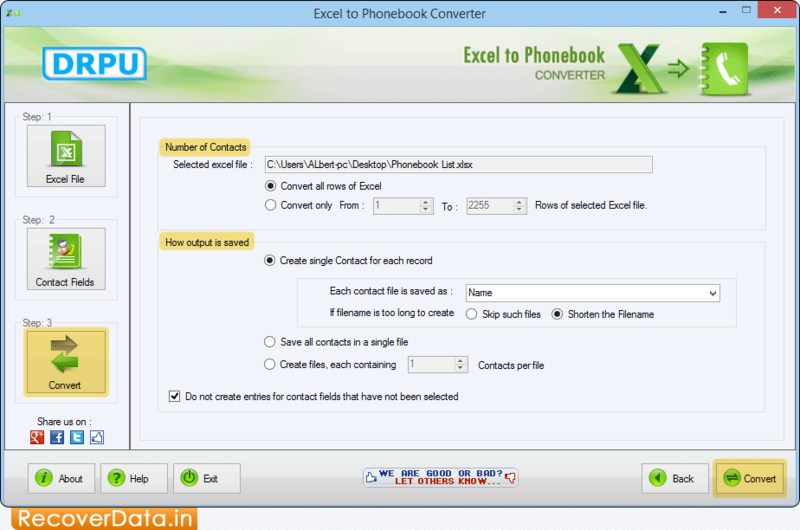 Browse Excel File of contact details which you want to convert into phonebook file. Click 'Contact Fields' button to select Name and Title, Contact Image, etc. 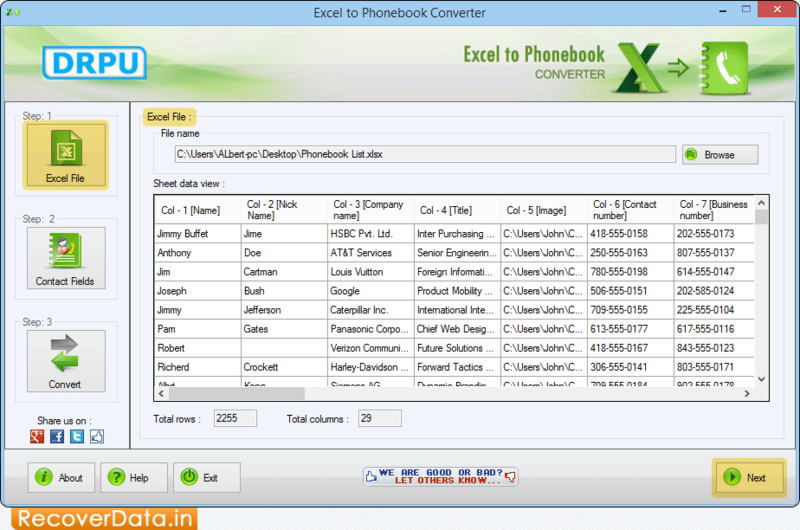 Select 'Number of Contacts' and 'How output is saved'. 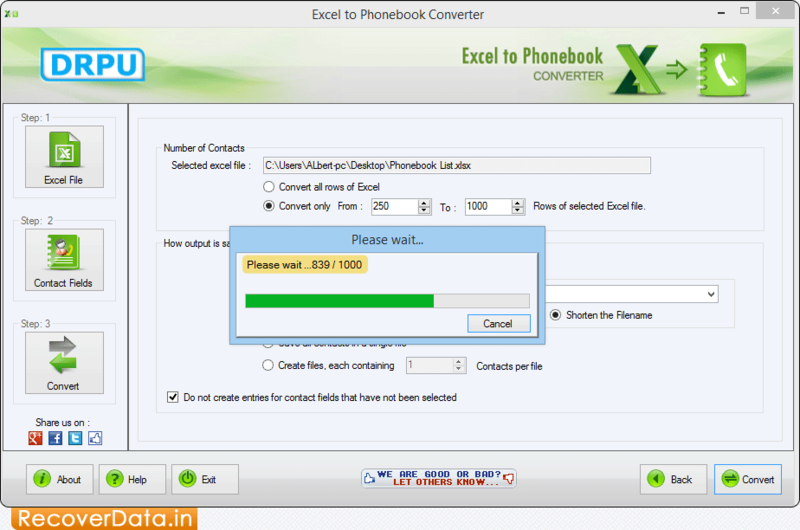 Click 'Convert' button to start conversion process. 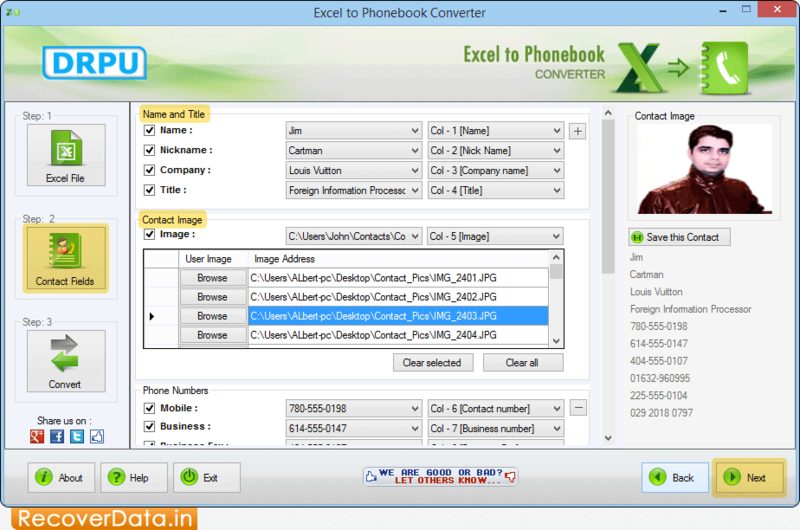 View current status of Excel to Phonebook conversion process.